Zachary was born and raised in Hilo, Hawai‘i. 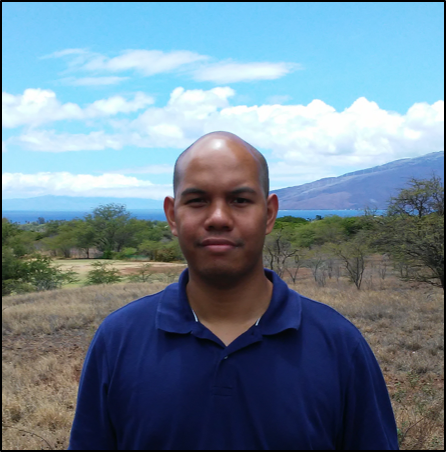 He graduated from Kamehameha Schools Hawai‘i and is a senior mathematics major at the University of Hawai‘i at Hilo. After graduating with his B.A., Zach plans to apply to graduate school and is interested in pursuing a Ph.D. in applied statistics. Mentor: Paul W. Schumacher Jr., Ph.D.
One mission of the United States Air Force is to conduct space surveillance of everything in orbit around the Earth. Predicting the position of a satellite on its orbit is essential to the operation of tracking every satellite. Kepler’s equation is the key analytical relation for predicting the position of a satellite because it relates the angular position of a satellite traveling on its orbital path with time. Kepler’s equation gives a great deal of analytical insight for the root-finding problem and serves as a foundation for many orbital mechanics problems. When the value of time is given, Kepler’s equation must be solved for the value of the angle variable with a numerical root-finding algorithm because the equation is transcendental. The purpose of this project is to investigate a particular and rarely used root-finding method in orbital mechanics involving a definite integral to solve for the angular variable in Kepler’s equation. The definite integral was selected because it is one of the few root-finding methods that can be parallelized. MATLAB was used to formulate the definite integral as a serial computational algorithm to verify the validity of the method. We compared our results with test cases constructed from known particular solutions of Kepler’s equation. Results will be presented. In the future, the definite integral method should continue to be investigated to understand its performance in a parallel algorithm.